The ongoing saga of Rayman Legends and its delay on the Wii U has had quite an impact on the fans and developers of this future classic. While UbiSoft has yet to issue a definitive reason/excuse for the delay, news has surfaced that it may ultimately have been caused by Microsoft. Apparently, Microsoft has contracts with third party companies stating that if a game is to come to the 360 it must be released simultaneously with other versions. In other words, Microsoft gets to dictate the release schedule of games coming to all three consoles!? This was generally unknown until UbiSoft had their hand forced upon deciding to move the game from being Wii U exclusive. This also explains why many games such as former PlayStation seller Grand Theft Auto often got preferential treatment on Microsoft's console this generation. 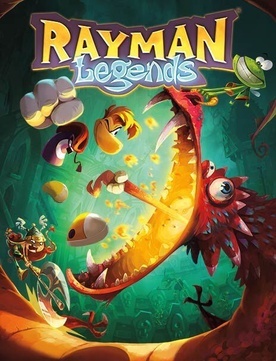 News of Rayman Legends delay hurt the development team as much as the fans with series creator Michel Ancel and his team publicly supporting the game and its fans over publisher UbiSoft. Sadly, the team was being pushed hard to meet the previous Wii U release date of 2/26/13 resulting in a product that is now 100% complete for Nintendo's new console yet won't see release for another 7 MONTHS! Actions such as these bring to light the issues with our current industry and is fueling more developers to try things such as Kickstarter in hopes of breaking away from traditional publishers and their purely profit driven decisions which has cost the industry much in creativity. While the Rayman Legends team couldn't change the release date for the Wii U version of the game, they have managed to put together a rather nice consolation package to ease the pain of fans. Set to release for free on the Wii U eShop this April, Rayman Legend Online Challenge Mode will feature a wide selection of challenges which will be updated both daily and weekly. The downloadable title will feature 5 different settings with one being exclusive to the Wii U along with leaderboards to challenge the scores of other players. The game will allow up to 5 players across all challenges and feature a history system to save performances, trophies earned and ghost data. This is great news for fans who are still feeling burned by UbiSoft but still want to experience the development teams great work. The eShop download is quoted as being "Playable for countless hours" indicating the game will not be a limited play demo like other Wii U demos on the eShop. The development team has put together a little video explaining the project as well as their gratitude to the fan community who have supported them so strongly. Enjoy!